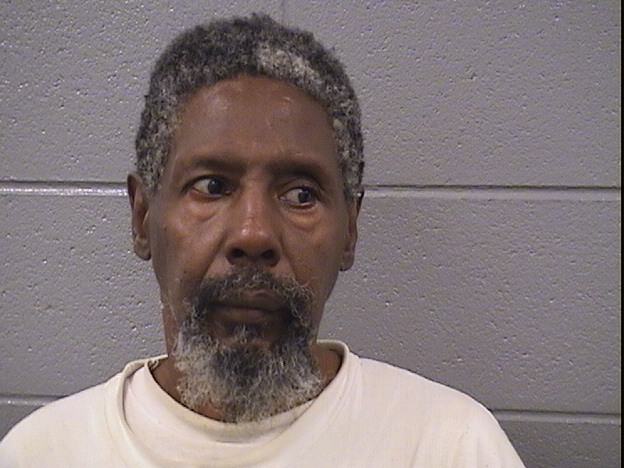 A career criminal who has been sentenced to a combined 97 years in prison since 1976 is back in jail, accused of breaking into a Lake View home on Thursday morning. Robert German, 59, had been released on parole 16 days earlier. Police responded to the 3900 block of Janssen at 9:30AM after a woman reported that she heard glass break while she was taking a shower and she saw broken glass when she looked out of her bathroom door. The woman fled onto the street, wrapped in a bath towel. Officers scoured the area in search of a suspect who was seen by multiple witnesses: a black man wearing a white t-shirt with the image of a hot dog on the front. They soon found German walking slowly in the alley behind the 1400 block of Byron. A resident of the 3800 block of Greenview also signed a complaint against German for trespassing. …and, just to mix things up a bit, he received a 2-year sentence for shoplifting in 2014.